Ladies, here comes ADHM lyricist Amitabh Bhattacharya to rescue your broken heart. 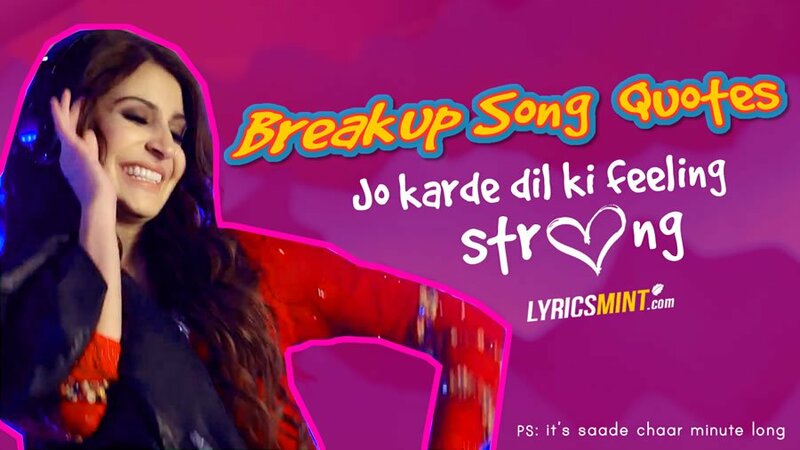 After Imtiaz Ali’s happy-breakup-song Chor Bazari in Love Aaj Kal, now Karan Johar brings an another celebration anthem for your BreakUp. Give your Broken Heart a reason to celebrate. 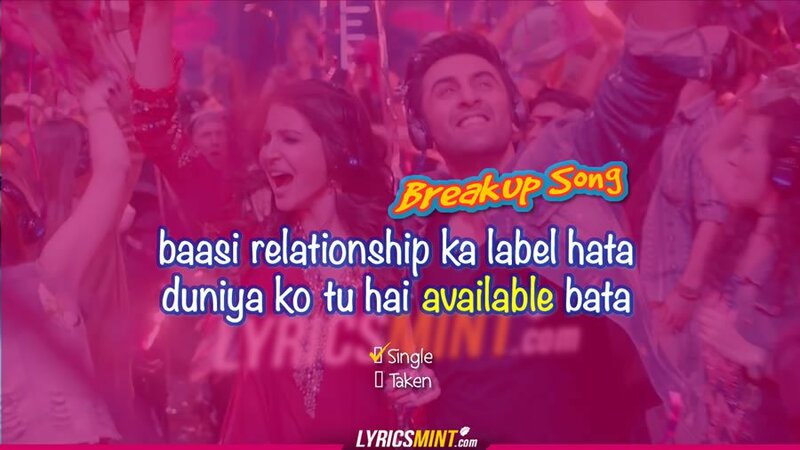 The Breakup Song is sung by Arijit Singh, Badshah, Jonita Gandhi & Nakash Aziz, composed by Pritam while lyrics are penned down by Amitabh Bhattacharya. Here are the Quotes from the Ae Dil Hai Mushkil song. Tip for getting over a breakup: Parlour jaao sab bhool jaao! Uff.. How could you leave a desi heart? Also delete the kalli kalli photos..
Saale teri maa ki aaaaankh ! 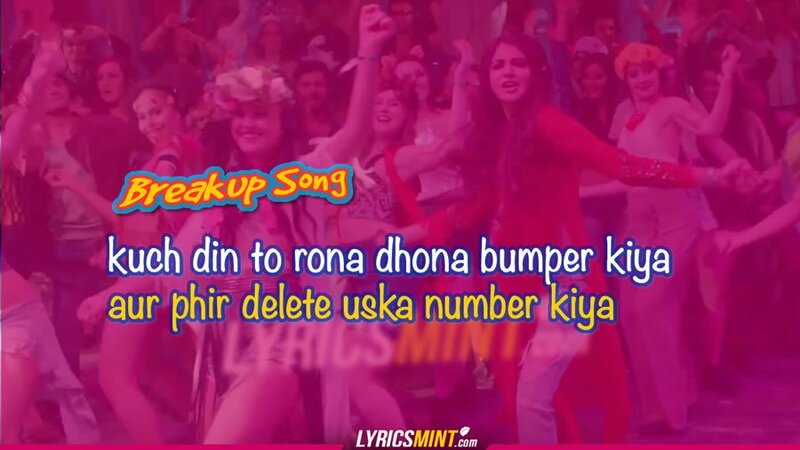 And here is the Jab We Met incident – usey phone mila aur gaali de, photo jala ke karde raakh..
Read Full Lyrics of Breakup Song.